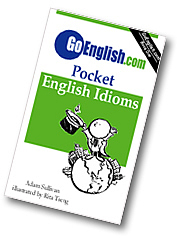 Today's Idiom = "From Overseas"
A person from overseas comes from a country that is on the other side of an ocean. Example: "You have a nice accent. Are you from overseas?"